A large number of people came into streets in Madison to protest against the murder of a young unarmed black man by a white policeman. The Madison’s police officer in Wisconsin state shot and killed a 19-year-old black man called Tony Robinson on Friday night. Madison Police Chief Mike Koval confirmed that the black man was unarmed. 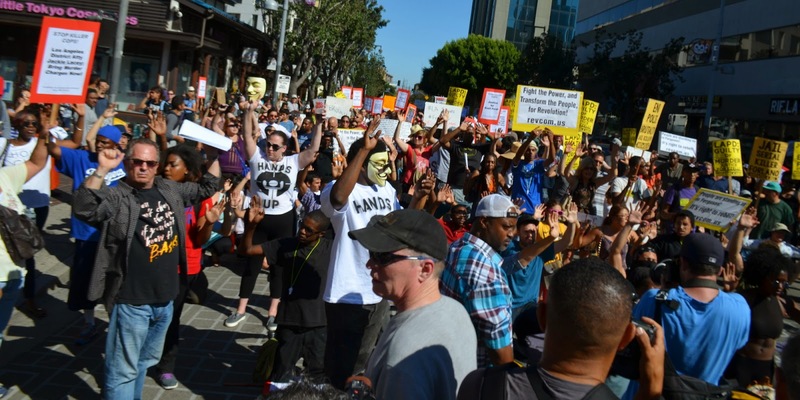 Following the incident, a large number of American people protested against the shooting. In the past months, the murder of several unarmed black citizens by the police and the verdict of the juries to acquit police officers have stirred people up to hold big rallies protesting the murders. The wrong policies and race discrimination are still going on in America.